Charters Towers: Gold was discovered here in 1871 and there is still gold to be found here, along with copper, lead and zinc. The city still has a number of charming buildings from the early gold rush era and its subsequent wealth. It is now a centre for the surrounding cattle stations. Interestingly, it also now serves as an education centre for students from the Outback in Queensland, as well as places like Papua New Guinea. 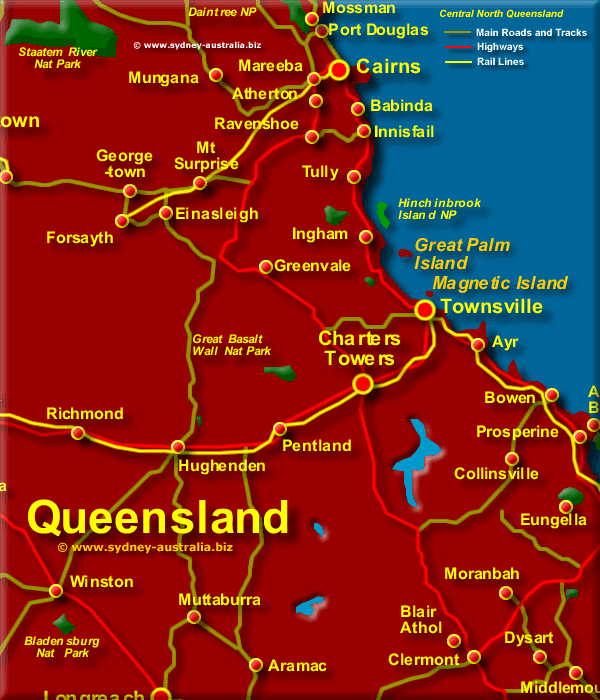 Next Picture: North West Queensland - North West Queensland. Previous Picture: Far North East Queensland - Far North East Queensland.